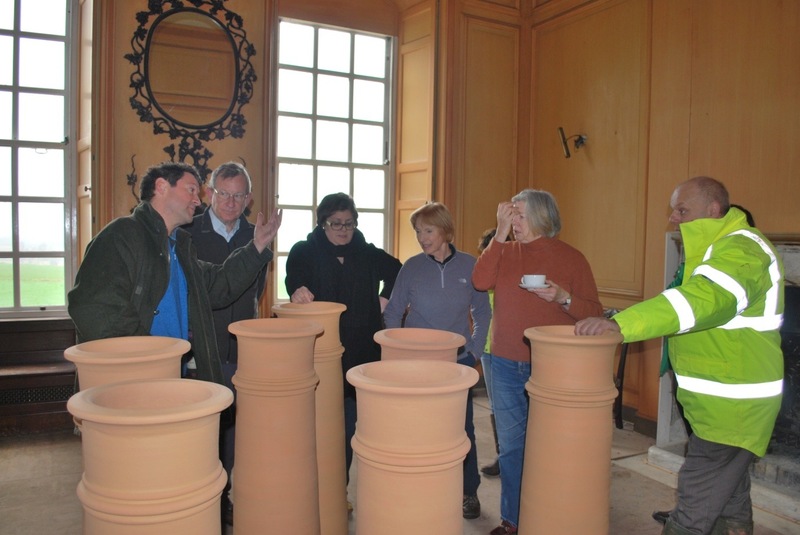 A few days before the chimney pots are put in place they act as useful tables in the Mansion House, with Edward Strachan, Stuart Senior, Claire Fear of Architectural Thread, Helen Senior, Camilla Carter of the Somerset Gardens Trust and Councillor Ian Dyer of Sedgemoor District Council. 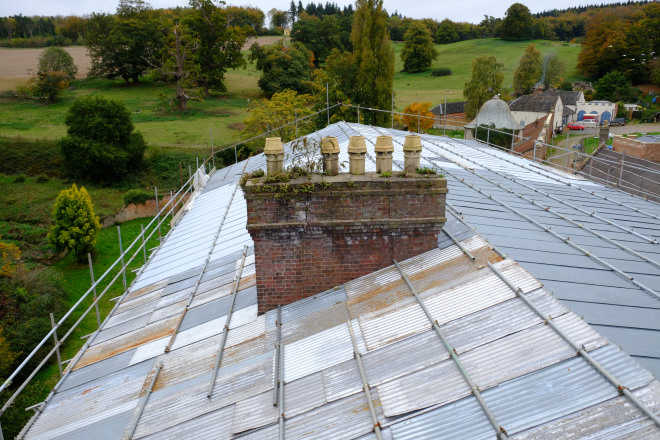 The meagre, and often missing, chimney pots of the twentieth century before replacement. 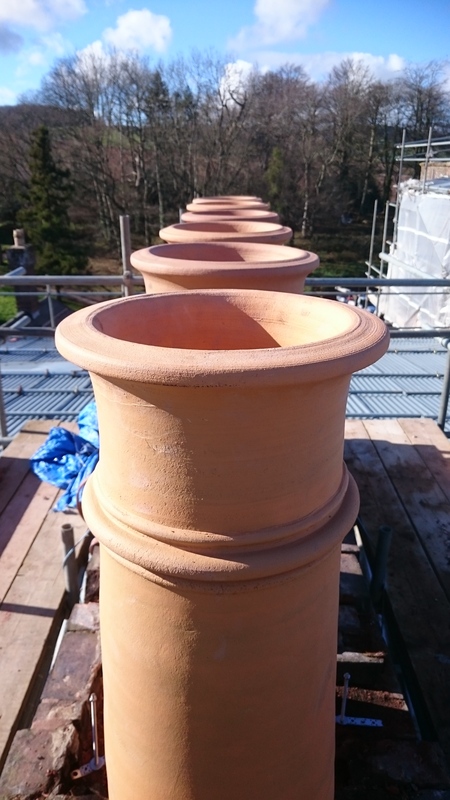 Some of the new pots being installed. 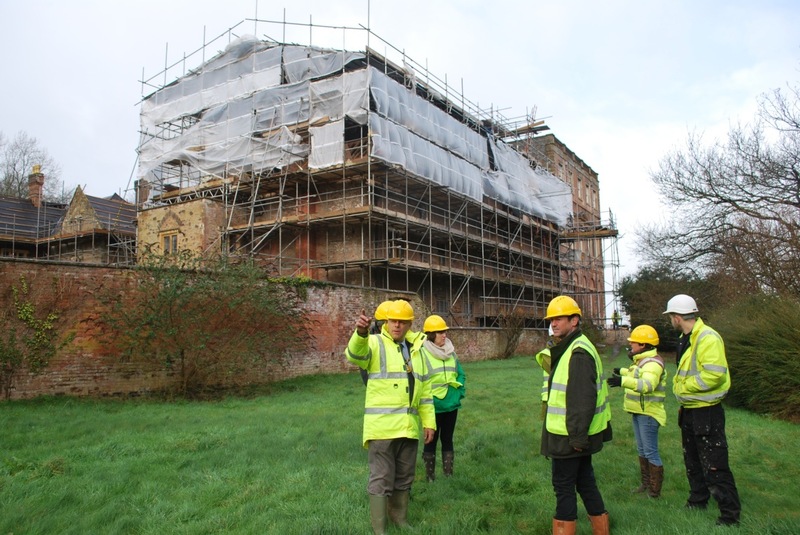 Chimney pot up and chimney stack repairs being carried out, with Robin Hood’s Hut beyond.